Most phones these days are purchased using an installment plan, and this is leading consumers in the U.S. to hold on to their daily driver for longer periods of time. As a result, smartphone owners are more apt to bring their current phone with them when switching wireless firms. Analysts working for Deutsche Bank say that the next big trend in wireless will be "Bring Your Own Device" (BYOD). 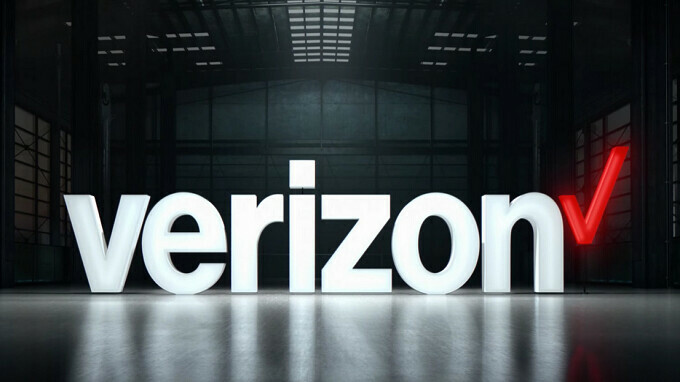 In a note to clients, the global bank says that big stateside carriers like Verizon could see higher churn rates as rival wireless operators start promoting BYOD plans. The Deutsche Bank analysts pointed out that in a promotion aimed at Verizon subscribers, those who bring their own phone to Sprint receive one free year of unlimited service from the nation's fourth largest carrier. The report also notes that customers carrying their own phone make up approximately 10% of activations at AT&T, and have hit the mid-teens at T-Mobile. According to brokerage house Cowen and Co., the percentage of post-paid subscribers who hold on to their handsets for two years or more has risen to 34.1% from 23% three years ago. It might be too early for the BYOD trend to affect Verizon's churn rate. We should get the latest figures tomorrow when the company reports earnings for the fourth quarter of 2017. Scotiabank Equity Research analysts told clients to expect Verizon to report postpaid phone net additions of as much as 300,000 for the fourth quarter of 2017, versus 167,000 last year. Verizon iphones are the only phone you can take anywhere to any company, with out paying the phone off, so they would suffer the most from BYOD. You are correct the Pixel will also work on any network, but I’m sure the Samsung phones can’t fully work on other carriers. That's false. The S8 and Note 8 also carry GSM + CDMA modems. In fact this has been true since the S6. All US models of the Galaxy starting with the S6 support the 4 major carriers in one device. In many cases an unlock Verizon phone will work on other carriers in Global mode. But most GSM phones unlocked won't work on CDMA carriers. Xfinity Mobile offers a bring your own device and list the latest iPhone and Galaxy models as compatible. Xfinity Mobile uses Verizon's network if Xfinity network can't be reached. "Verizon Galaxy S7 Edge does not support band 12 so you wont get VoLTE on T-mobile" False. I thought I read if you bought an unlocked iPhone from Apple it will work on any carrier. IPhones are not locked to any carrier anyways. You can put a SIM from any major carrier even if you are on another network and it will work. When I had VZW, I use to drop my TMO SIM all the time. Because Verizon phones are unlocked from purchase, but you can't put a Verizon SIM in a T-Mobile iPhone without unlocking it first. Good to hear. Can’t stand this carrier. Please don’t remove my comment. My opinion. Never mind. Not a Cosmin V article. The newer generation IPhones are to be considered global phones. They have the most built-in bands. I can't speaker for the Samsung S8 but the Samsung S7 model does lack some bands that carriers use. I've also heard Verizon pushes out software to some of their android lineup that disables MMS to function properly on other carriers.